Roscoe P and Coal Train performing on the WNRV New River Valley Jamboree show at the Old Virginia Smokehouse on 1/21/12. This show was broadcast live on WNRV, you can download entire show podcast. 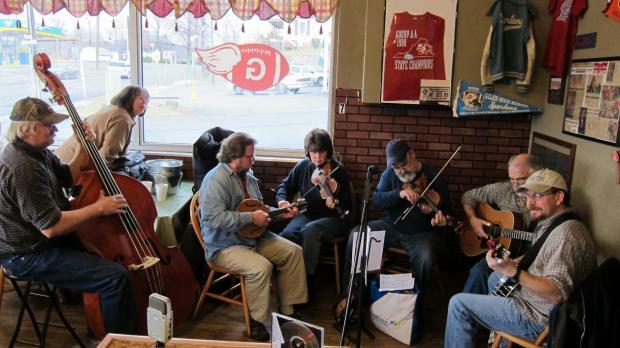 Jay Dodson (bass), Gary Holmgren (banjo), Russ Harbaugh (fiddle), Lynn Osmann (fiddle/banjo-uke), Dennis Mckim (mandolin), and Tom Wright (guitar).